Brand: Fox Run FR-4512 Units: 1 set / 4 pcs. 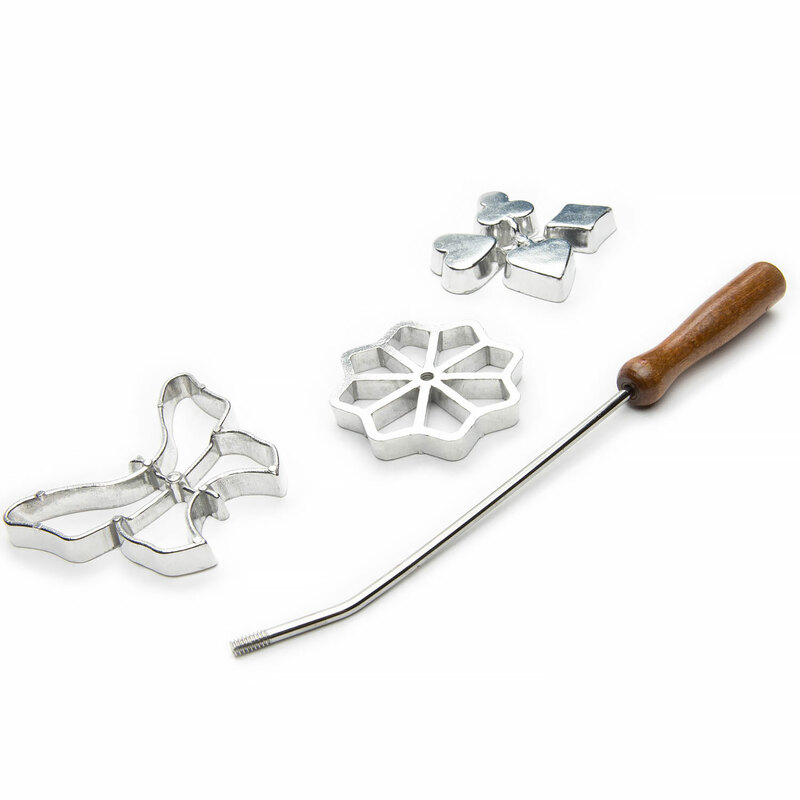 total Four piece set includes handle and three molds. Create delicious, light and airy rosettes. Mix up recipe, dip mold into mixture and fry until delicately browned. Filled shells with meat, fruits, or cheese are excellent for lunch, snacks, desserts or party fare. Also delicious is the rosette dipped in chocolate. Unfilled rosettes keep up to six months in an uncovered container in a dry place. Ideal for last minute drop by guests! Basic recipe and instructions included, for more recipes and ideas, see "The Art of Rosette Cooking" book. Four piece set includes handle and three molds. Create delicious, light and airy rosettes. Mix up recipe, dip mold into mixture and fry until delicately browned. Filled shells with meat, fruits, or cheese are excellent for lunch, snacks, desserts or party fare. Also delicious is the rosette dipped in chocolate. Unfilled rosettes keep up to six months in an uncovered container in a dry place. Ideal for last minute drop by guests! Basic recipe and instructions included, for more recipes and ideas, see "The Art of Rosette Cooking" book.